People's Credit Union proudly announces it is once again a top performer, earning a coveted 5-Star rating from BAUERFINANCIAL, the Nation's Premier Bank and Credit Union Rating Firm. A five-star rating indicates that People's Credit Union excels in areas including capital adequacy, profitability, and asset quality. People's Credit Union has earned and maintained this top honor for 104 consecutive quarters which puts People's Credit Union in a most prominent position as a "Best of Bauer Credit Union." This designation is reserved for institutions that have maintained Bauer's highest rating for 25 continuous years or longer. "At People's Credit Union, it is our mission to provide our members with more than just a place to do their banking. People's Credit Union continues to equip our members with the proper tools, technologies and products to reach their financial goals offer a complete range of products and services with all the conveniences you would expect from your financial institution," commented Ellen Ford, People's Credit Union President and Chief Executive Officer. People's offers a complete range of services including online and mobile banking, savings and checking accounts, personal loans, mortgages, business accounts, business loans, and financial services. Headquartered in Rhode Island, People's Credit Union is a member-owned, state chartered, federally insured, community credit union established in 1922. Membership is open to all individuals. Deposits are insured up to $250,000 by the National Credit Union Administration (NCUA), an agency of the federal government. 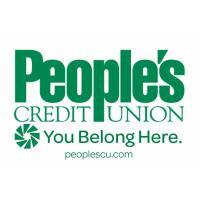 For more information about People's Credit Union visit peoplescu.com.